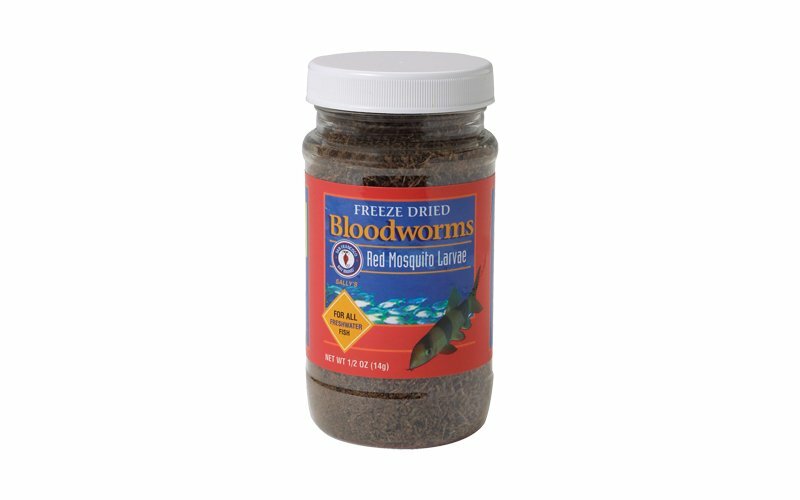 Freeze dried bloodworms are a simple, easy to feed food. Leave nature at its best. Also known as Red Mosquito Larve, your discus, eels, betas, loaches and other community freshwater fish will thrive on this primary food. This is a great choice for all Betta's and community tanks. Bloodworms are a natural product that may cause allergic reaction in some people. All Freshwater Betta's, Angels, Discus, Barbs, Cichlids, Gouramis, Live Bearers, Loaches, Eels, Catfish, Tetras, Sharks & Silver Dollars and all Saltwater Angelfish, Butterflyfish, Damsels, Clownfish, Groupers, and Eels.